While casino billionaire Sheldon Adelson was out of the country at the end of last month, he sent his trusted government affairs specialist, Andy Abboud, to an exclusive San Diego-area meeting of conservative funders organized by billionaires David and Charles Koch. At the event, Abboud announced to the crowd that Adelson would pledge $10 million to the Koch's efforts at grassroots mobilizing and advertising. The pledge, which was first reported by Politico, has been confirmed by CBS News. The marriage of the GOP fundraising forces highlights the two different kinds of political donations that are possible today in the post-Citizens United era. Sheldon Adelson and his wife are the single largest donors - $25 million and counting - to what are known as "super PACs," which disclose all of their donations to the Federal Election Commission. Adelson also reportedly gave $10 million in the last few weeks to Restore Our Future, the super PAC supporting presumptive Republican presidential nominee Mitt Romney. David and Charles Koch are arguably the largest funders of non-profit "social welfare organizations" that support conservative causes, among them Americans for Prosperity, various think tanks and other conservative grassroots organizations. Their donations are not public because the tax-exempt organizations they support do not have to reveal their donors to the Internal Revenue Service. It's been reported elsewhere that the brothers plan to raise up to $400 million for this year's elections. Adelson's multi-million dollar pledge to the Kochs is his first known donation to a political group where disclosure is not required. 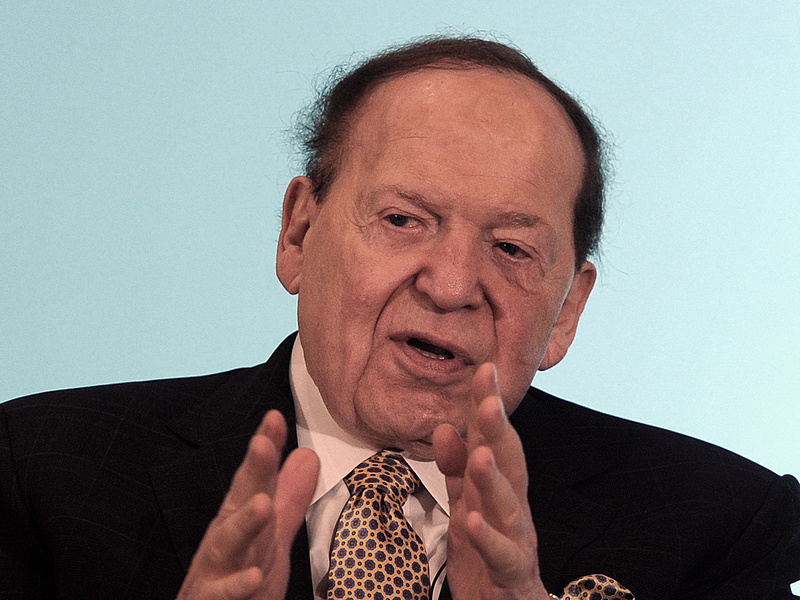 Sources close to Adelson say donations from the billionaire casino owner will continue. One source says there's a steady stream of heavy-hitting politicians who are constantly meeting with the billionaire. Sarah Palin, they say, stopped by a few weeks ago. The source said there are a few reasons as to why Adelson might donate to a cause or a candidate -- either he knows someone personally, they come highly recommended by someone he knows, or he already sympathizes with their causes and beliefs.